For nearly 30 years, NAIOPWA has led annual community service events bringing together hundreds of CRE community volunteers. In 2018, more than 450 people volunteered to refurbish a small elementary school in Renton. Participants came from more than 100 companies and donated labor and financial support in excess of $200,000. In 2018, NAIOP WA formed a new Diversity & Inclusion Committee to support its strategic plan and to build and develop a diverse and inclusive culture within the commercial real estate industry in the Puget Sound. Sponsors will fund a 2019 roundtable discussion to support diversity in the current CRE community; a program to introduce high-performing minority high school students to careers in commercial real estate; and the development of an annual internship program for diverse candidates. 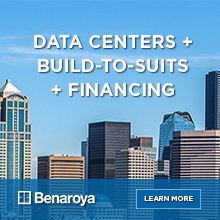 Washington State’s premier commercial real estate event. 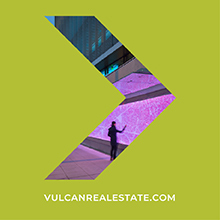 With more than 1,000 attendees annually, there is no better opportunity to get in front of the individuals and companies who are changing the landscape of commercial real estate. Timely, unbiased information from innovators and industry leaders plus unparalleled networking opportunities, reaching more than 1,000 attendees annually. Now featuring spring and summer tours, these annual events explore flourishing neighborhoods and innovative development projects. Tours range from 100-200 attendees and include networking receptions with project experts and innovators. Exclusive to NAIOP Washington State members, these informal, quarterly networking events encourage deep connections and are typically free to new members. 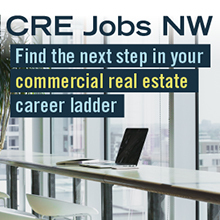 Advertise on NAIOP Washington State's digital platforms—our new app, NAIOPwa.org and our weekly email newsletter—to reach leading CRE decision-makers. Promote new services, company blogs, special events, or simply share your brand with NAIOP's audience. Monthly educational and networking events address issues specific to the South Puget Sound area’s commercial real estate market. Attendance varies from 40 for intimate networking events to more than 200 for breakfast meetings. NAIOP’s Developing Leaders (DL) cohort offers unparalleled networking opportunities for professionals age 35 and under, plus events for members of all ages in the CRE community. Nearly 400 golfers and sponsors enjoy the opportunity to get creative at this relaxed networking event that takes advantage of both courses at the scenic Golf Club at Newcastle. A post-tournament reception offers ample opportunity for visiting and networking. Teams from regional universities’ real estate programs bring fresh thinking to the CRE community in this annual competition that combines mentorship and real-world project experience over a three-month period. In 2019, students will design a project at 5th and Bell in Seattle for Merlino Construction. 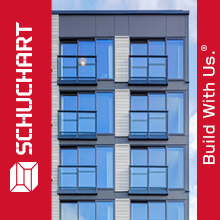 Sponsor Sustainable Development’s focused, high-value education and networking events to connect with forward-thinking leaders in the commercial real estate industry, and align your brand with sustainability considerations important to developers and owners. Contribute extra points, from 10-100 points in increments of 10, to the NAIOP Washington State Political Action Committee or to the annual Community Enhancement project and support the broader goals of NAIOP WA. Select your preferred Sponsorship level. Depending on your level of investment, your company receives points to spend on items such as tickets to upcoming chapter events, specific event sponsorships or advertising opportunities. Companies can elect to sponsor individual events/items less than $3,000 as well—organizational sponsorship is encouraged but not required. Complete and return the Menu of Benefits and 2019 Sponsorship Commitment Form (final two pages of the sponsor prospectus). Email forms to Brooke Griffith at [email protected]. Once NAIOP WA receives your forms, we will confirm and process sponsorship contracts. Credit card payments will be processed and receipts will be emailed. If you elected to pay by check, an invoice will be issued. Please note: All sponsorship opportunities are first come, first served from the date payment is received. Submit your high resolution logos (.eps format preferred) to Daphne Adair at [email protected]. All sponsorship opportunities are first come, first served from the date payment is received. To reserve your sponsorship, return this form immediately via email to NAIOP Washington State. Payment is required in full before sponsorship benefits begin. Upon receipt of this application, NAIOP WA will provide an invoice. You will pay the total amount and agree to the Invoice Policy as written below. All payments are non-refundable. All payments are due within 30 days from the above listed invoice date or 10 days before the event date, whichever is earlier.